Nowadays, Iron Builder Challange shows us good usage of new Pentagonal piece. The contestant, Chris Maddison created a beautiful scenery that use this piece to create a fence for his garden. 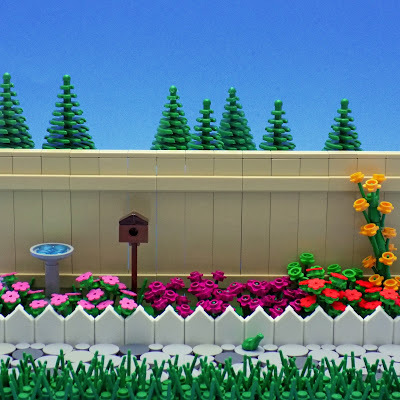 His MOC, The Flower Garden, is very neat and colorful with different scenery pieces.